The Manchester Storm welcome the University of Salford to the Storm Shelter for the 2016/17 season. 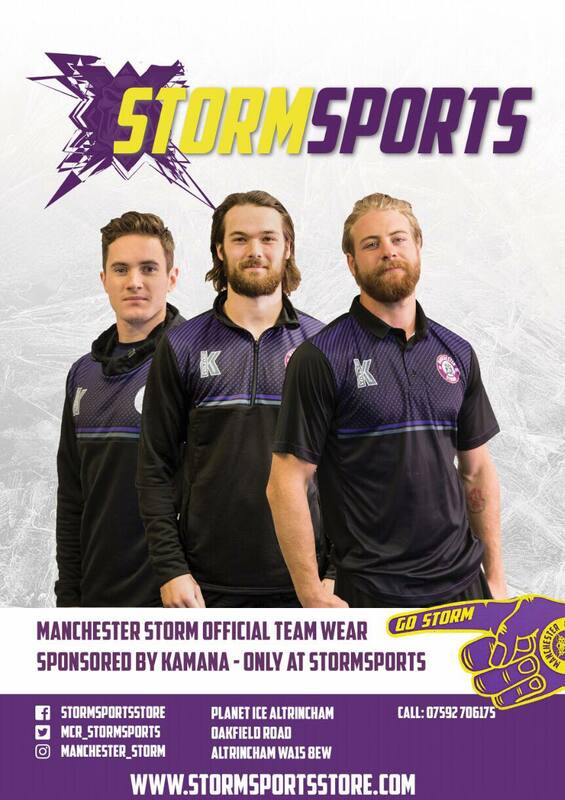 As part of the partnership, three players from the Manchester Storm will have the opportunity to study for their Masters in Business Administration at the Salford Business School. The fully AMBA accredited Salford MBA, is a multi-disciplinary programme that has been designed to foster a broad spectrum of business skills that are in demand across all areas of industry. The enticement an MBA offers to prospective players is incredible, it sets the Elite Ice Hockey League (EIHL) apart from all other leagues in the world. The MBA partnership is something that many clubs in the EIHL have forged over the years with their local Uni’s, and for the Storm to gain it so quickly as a club with Salford University, is majorly exciting news. The MBA programme entices many players to these shores who ordinarily would perhaps remain in higher league across Europe, so in terms of recruitment, it is massive for us. The University of Salford is ranked as one of the most international universities in the world, with over 3,500 of the 18,920 students coming from different 85 countries, making the University of Salford a truly international institution. The University provides real-world, career-focused experiences and offers cojursesthat are shaped by the feedback they receive from their hundreds of industry partners. Two thirds of all courses offer work placements, some of which are abroad and almost all of which count towards degree classifications. The university recognise the importance of flexible learning options, including part-time and distance learning study. For more information on the University of Salford, please click HERE.